How much do you value your Health? Seems like an easy question, but you wouldn’t believe how many people don’t actually put any value on their Health…. Where does Health rate in your priorities? Would you choose investing in your Health over that new pair of shoes or that night out? Now I know these sound like crazy, random questions but its something I often think about. For me – Health ranks near the top. I would rather invest in my health (Whether that means gym, classes, nutrition, food, time) than buy something materialistic. Now listen…there is nothing wrong with buying yourself something or enjoying a night out with friends, but when it comes to a choice between that and you HEALTH, what would you choose?? So where is this going I hear you say?…. Well I see a lot of people “wanting” to lose weight/tone up/results and then also saying they’d love to attend a gym/class/buy a dvd/join an online program…..but they never seem to invest or they umm and ahhh it – but then in the same breath will go to starbucks 3 x times spending about £15 a week/go on a night out every weekend spending about £100+/waste a £5 here and there on meaningless stuff and eat out for their lunch (normally crappy food) a few times a week…..Im sure if you added all that up you’d see what I mean. Ruthless?? Maybe so…but you and I both know its the truth. Ive used the word “INVEST” a lot because thats what it is….when you INVESt in your Health, you are making a commitment and showing how much you value your health, don’t see it as an expense, as this just brings negative feelings and reminds you of nasty bills you need to pay every month. BTW if you have done the things above – it doesn’t make you a bad person, its your life and your choices…but I ask WHY….WHY wont you value your health more?? Spending some ££ on an Online Program or Personal Training (in my eyes) far outweighs that pair of red shows you bought, that you cant walk in but you bought anyways and may wear once. Its totally up to you what you spend your hard earned money on, but before you moan that you feel fat or that you aren’t getting the results you “deserve” then step back and take a look on what you are investing your money on. Are you ready to make an investment in YOU and YOUR HEALTH? Are you ready to VALUE YOUR HEALTH more? So whats the workshop all about? 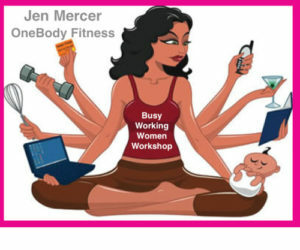 Well it’s for YOU..…and all us likeminded women who just find themselves so busy, the workshop is going to give you all the tools you need to really kickstart yourself in 2017 and smash those goals. 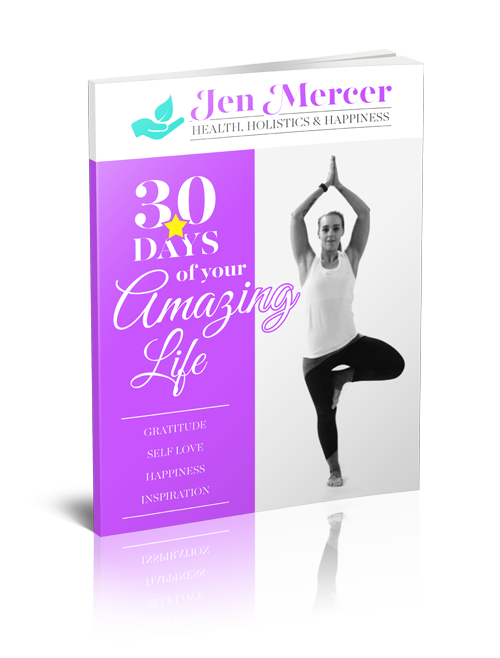 30min Easy Fitness Yoga Workout – guaranteed to de-stress you after the Christmas Period and leave you feeling detoxed. Are you ready to make 2017 the year you shine and smash everyone of your goals? Book your space now and know that you are already starting 2017 with your best self in mind. Caffeine is a drug that is naturally produced in the leaves and seeds of many plants. It’s also produced artificially and added to certain foods. Caffeine is defined as a drug because it stimulates the central nervous system, causing increased alertness. 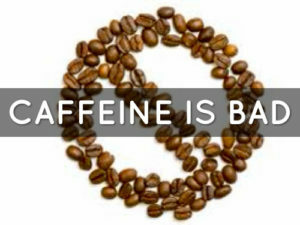 Caffeine gives most people a temporary energy boost and elevates mood….but as I said this is only temporary! Caffeine is in tea, coffee, chocolate, many soft drinks, and pain relievers and other over-the-counter medications. In its natural form, caffeine tastes very bitter. But most caffeinated drinks have gone through enough processing to camouflage the bitter taste…..fancy a cuppa?? Many people feel that caffeine increases their mental alertness, but higher doses of caffeine can cause anxiety, dizziness, headaches, and the jitters. Caffeine can also interfere with normal sleep…..erm why would we want these effects on our body? Caffeine can aggravate certain heart problems. It may also interact with some medications or supplements. If you are stressed or anxious, caffeine can make these feelings worse. Although caffeine is sometimes used to treat migraine headaches, it can make headaches worse for some people….an the latter is more common in most people. Caffeine addiction is a matter of perspective, but the fact is that millions of people begin their day with it, and can’t seem to function without their daily tea/coffee or energy/soft drinks!! #1.It does not boost your Energy. Caffeine does not boost your energy.It is a mild stimulant which acts temporarily. But many people are not aware of this.Though people who take caffeine regularly are generally less sensitive to its effects. Caffeine causes more anxiety. It also causes jitterness and you will feel more active than normal time. Too much anxiety is also very bad for your health. It leads to many problems. Minerals like Magnesium ,potassium and zinc are needed in building up of your body in day to day life. Constant drinking of caffeine leads to reduced minerals in your body. #5.It is hard to get out of it. Consuming caffeine daily will become addictive and it is very hard to stop it. For stopping it you have to gradually reduce the intake to stop it. More people need their fix of morning coffee to startup their day. #6. It is hard to sleep. Some people find it harder to sleep if their caffeine intake is more than 2 cups. Their sleep gets disrupted and they will have trouble getting to sleep. As if sleep isn’t enough of a problem on its own! #7. Stopping of caffeine leads to temporary problems Once you planned to stop caffeine and you start reducing the intake you will find many problems like depression/cravings…an the feeling you ”NEED” that caffeine fix. Your day will not go as it normally used to. This will pass. #8. Caffeine does not improve memory. Some feel that intake of caffine will boost your memory but it is not true. Intake of caffine does not boost your memory. #9. It reduces calcium for your bones. Calcium is a very important mineral for your bones. Caffeine intake reduces the calcium for your bones in your body and increases the risk of osteoporosis. Women are the mostly affected if calcium is reduced. #10. Caffeine does not give you energy. Many people drink energy drinks which contains caffeine. Actually caffeine does not give you energy but stimulates your nervous system andadrenals. So you think you feel energised……it’s a big fat coffee lie!! #11. It increases stress in your body. 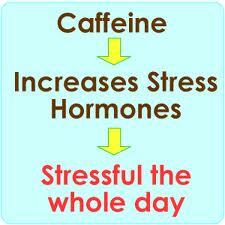 Constant intake of caffeine leads to stress in your body. It will take long time before these levels come to normal……Youll seein big offices all the Business Execs constantly supping Coffee?!! #12. It stimulates the flow of stomach acid. Caffeine also stimulates the flow of stomach acid. So people who have stomach or ulcer problems should avoid it….and people who don’t, you might as well start avoiding it anyways! #13. It does not have any nutritional value. Caffeine does not contain any nutrition benefits to the body. Intake of caffeine is not useful to you in any ways. So it is better to avoid it……what more of a reason do u need?? #14. It can lead to dehydration. #15. It already raises your blood sugar. To avoid these problems, reduce your intake of caffeine gradually, beginning with what you normally consume at night, and then reducing your consumption during the day in gradual steps….then RID yourself of ALL of it. Eating “Clean” to keep your blood sugar stable will help avoid energy crashes that make you want to reach for that fizzy drink or cup of coffee….think do u REALLY NEED it? REALLY!!! Proper structured exercise, helps you maintain stable blood sugar levels, and avoid the energy fluctuations that cause you to reach for the caffeine to perk yourself up, thus avoiding the negative health effects of caffeine, without caffeine withdrawal…..get moving!!! Yes you’ve heard it before…..there is such things as super foods and didn’t your mum always say “Eat your Greens”…. Contain easily digestible proteins, enzymes and vitamins. Green plant foods balance your pH. Many modern foods are acidic in nature and can lead to health issues, so balancing your body with neutralizing foods like greens keeps your body’s pH at a healthier level. Some dark greens include omega-3 essential fatty acids, which are important to many of the body’s functions, especially for brain function. Chlorophyl in green plants acts as a blood detoxifier. In greens, you’ll find a variety of phytonutrients including beta-carotene, lutein, and zeaxanthin, which protect your cells from damage and your eyes from age-related problems. Greens are powerful antioxidants, and they support the immune system. And these are just some of the benefits of eating greens. Living a longer more productive life is the best one! Kale: This nutrition powerhouse “offers everything you want in a leafy green,” says Nussinow, who gave it her first-place ranking. It’s an excellent source of vitamins A C, and K, has a good amount of calcium for a vegetable, and also supplies folate and potassium. Kale’s ruffle-edged leaves may range in color from cream to purple to black depending on the variety. Spinach: Popeye’s favorite vegetable has 20 calories per serving, plus it’s packed with vitamins A and C, as well as folate. And because heat reduces the green’s oxalate content, freeing up its dietary calcium. Spinach leaves can be cooked quickly in the water that remains on them after rinsing, or they can be eaten raw in salads. This mild-flavored vegetable can be added to soups, pasta dishes, and casseroles. Broccoli: Rich in vitamin C and is also a good source of vitamin A, potassium, and folate. Americans eat about 6 pounds of it a year. Its stalks and florets add both crunch and color to stir-fries. While some kids may call this veggie “trees,” they often like it best raw or steamed with a yogurt-based dip. Cabbage: Although paler in color than other leafy greens, this cruciferous vegetable is a great source of cancer-fighting compounds and vitamin C. Available in red and green varieties, cabbage can be cooked, added raw to salads or stir fries, shredded into a slaw, or made into sauerkraut. Watercress Watercress is a leafy green vegetable with a peppery flavor and is often added to salads or used on top of sandwiches. It is a good source of beta-carotene, lutein, and zeaxanthin, antioxidants that may prevent and manage arthritis, cataracts, and macular degeneration, as well as maintain healthy hair and skin. Watercress is also a good source of vitamin K, which may prevent bone fractures. Lettuce There are various types of lettuce, but all of them are leafy green vegetables and are low in calories, making them a terrific addition to any weight-loss plan. Some types of lettuce, such as romaine, green leaf, red leaf, bibb, and butterhead, are good sources of antioxidants, including beta-carotene, lutein, zeaxanthin, and quercetin, which help prevent arthritis, cataracts, and macular degeneration, as well as maintain healthy hair and skin. Lettuce is also a good source of potassium, a mineral involved in managing blood pressure and preventing osteoporosis. In addition, all lettuce varieties contain vitamin K, which may prevent bone fractures. Arugula Arugula (also known as rucola and rocket) is a cruciferous and leafy green vegetable with a peppery taste and is often used in salads. 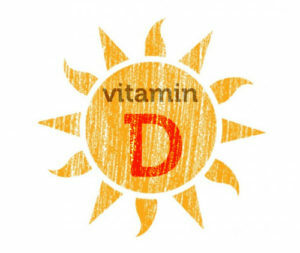 It is a good source of potassium, a mineral involved in managing blood pressure and preventing osteoporosis. Arugula may help boost memory due to phytochemicals — antioxidants found in all cruciferous vegetables. Like other salad greens, arugula is very low in calories, which makes it a great addition to any weight-loss plan. Dark green leafy vegetables are, calorie for calorie, probably the most concentrated source of nutrition of any food. They are a rich source of minerals (including iron, calcium, potassium, and magnesium) and vitamins, including vitamins K, C, E, and many of the B vitamins. 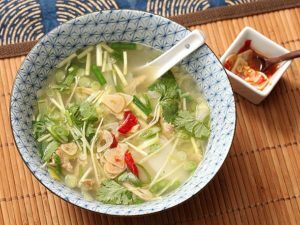 They also provide a variety of phytonutrients including beta-carotene, lutein, and zeaxanthin, which protect our cells from damage and our eyes from age-related problems, among many other effects. Dark green leaves even contain small amounts of Omega-3 fats. Perhaps the star of these nutrients is Vitamin K. A cup of most cooked greens provides at least nine times the minimum recommended intake of Vitamin K, and even a couple of cups of dark salad greens usually provide the minimum all on their own. Recent research has provided evidence that this vitamin may be even more important than we once thought (the current minimum may not be optimal), and many people do not get enough of it. Vitamin K is a fat-soluble vitamin, so make sure to put dressing on your salad, or cook your greens with oil. As a general rule, you should aim to eat at least five servings of vegetables daily (that’s about 2 ½ cups of cooked vegetables), and that includes leafy greens. As long as they’re prepared in a healthy way, leafy greens, like other nonstarchy vegetables, are a great addition to your diet and offer countless health benefits. Leafy greens are full of vitamins, minerals, and disease-fighting phytochemicals. They are rich in fiber, an important nutrient for weight loss and maintenance because it keeps you feeling full and helps control your hunger. Fiber can also lower cholesterol and blood pressure, and help to temper blood-sugar swings by slowing the absorption of carbohydrates into your bloodstream after meals. This lowers your risk of cardiovascular disease and type 2 diabetes. Leafy greens also contain a lot of water, which helps keep you hydrated and contributes to beautiful skin and hair. Some leafy greens, like collards and kale, are particularly rich in calcium, which helps keep your teeth and bones strong and reduces your overall risk for osteoporosis. Calcium also contributes to muscle function and blood-pressure management. Leafy greens contain potassium as well, which further protects against osteoporosis and helps manage blood-pressure levels. The antioxidants like vitamin C, lutein, and zeaxanthin that are contained in leafy greens may help reduce your risk of cataractsand macular degeneration. Vitamin C helps the body make collagen too; collagen is a major component of cartilage that aids in joint flexibility, may reduce your risk of arthritis, and keeps your skin and hair healthy and beautiful. Research shows vitamin C may also slow bone loss and decrease the risk of fractures. Leafy greens that contain beta-carotene, such as collard greens, spinach, and Swiss chard, contribute to the growth and repair of the body’s tissues. Beta-carotene may also protect your skin against sun damage. Beta-carotene is converted to vitamin A in the body, and food sources of beta-carotene are the best way to get your vitamin A fix, since extremely high doses of vitamin A in supplements can be toxic and lead to bone, liver, and neural disorders as well as birth defects. Food sources of beta-carotene are entirely safe, though, since the body regulates how much beta-carotene is converted into vitamin A.
Leafy greens are an excellent source of folate, which can reduce your risk of cardiovascular disease and memory loss. And since folate contributes to the production of serotonin, it may help ward off depression and improve mood. The vitamin E found in green leafy vegetables works with vitamin C to keep skin healthy as you age. This vitamin also helps protect your skin from the sun’s damaging rays and may help reduce your risk of cataracts and macular degeneration. Greens have very little carbohydrate in them, and the carbs that are there are packed in layers of fiber, which make them very slow to digest. That is why, in general, greens have very little impact on blood glucose. In some systems greens are even treated as a “freebie” carb-wise (meaning the carbohydrate doesn’t have to be counted at all). Add your greens to Smoothies…yes I know it sounds crazy BUT I add Spinach to nearly every Smoothie I make and all it does it turn the actual drink green…you cannot taste it at all and its a GREAT way to get your daily intake…. 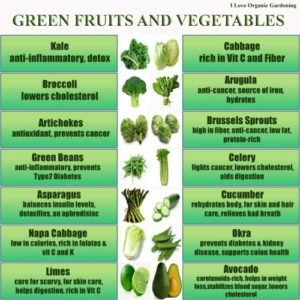 With all the benefits mentioned above, you would be crazy not to get more greens into your diet!!!! * Contains very potent anti-inflammatory compounds called gingerols. * Gingerols, the main active components in ginger and the ones responsible for its distinctive flavour, may also inhibit the growth of human colorectal cancer cells. * Ginger extracts have been shown to have both antioxidant, anti-inflammatory and anti-tumour effects on cells. * Warming on a cold day and can help promote healthy sweating, which is often helpful during colds and flus. A good sweat may do a lot more than simply assist detoxification. * Ginger appears to be very effective against menstrual pain when taken at the beginning of the menstrual period. This is strong in colour and flavour and I don’t add much, but I sprinkle on scrambled egg, steamed veggies, add to smoothies and juices!! * Significant anti-inflammatory activity in a variety of experimental models. Even more potent than its volatile oil is the yellow or orange pigment of turmeric, which is called curcumin and curcumin produces no toxicity. * Has powerful antioxidant & Inflammatory effects. * Curcumin also helps the body to destroy mutated cancer cells, so they cannot spread through the body and cause more harm. 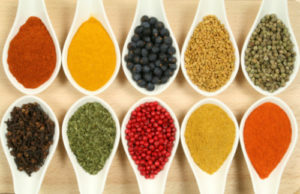 A primary way in which curcumin does so is by enhancing liver function. * Growing evidence suggests that turmeric may afford protection against neurodegenerative diseases. * It helps the body fight infections and repair tissue damage. * Well known for its blood sugar lowering effects. Your heart is a muscle about the size of a fist. It is in the middle of your chest tilted slightly to the left. Each day, your heart beats about 100,000 times. It pumps about 23,000 litres (5,000 gallons) of blood around your body. This blood delivers oxygen and nutrients to all parts of your body, and carries away unwanted carbon dioxide and waste products. Your heart is a vital part of your cardiovascular system. How can you help keep your Heart Healthy? All the above points work hand in hand and they all support each other. Give it the love it needs….not just for February….for LIFE!!! So – fats always seem to be outed as the “bad guys” and the devils in the waistline wars…but you may be surprised to hear this is not necessarily the case. Now lets just clear this up the Saturated fat found in coconut oil (as I know this is all on trend at the minute) is different to that found in a pizza!! 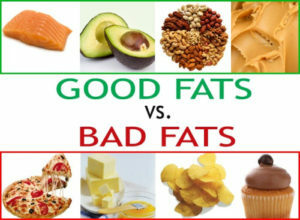 Bad Fats increase cholesterol and increase your risk of certain diseases. Bad Fats or “trans fats” or “saturated fats” (but not all….) are the type that cause:- weight gain, clogged arteries, heart disease and much more. So basically any food you love to binge on….think again! It contains all these Bad fats, but lets be honest we all know this anyway don’t we?? Fats are essential to our physical and emotional health – well the Good Fats are. Heathy Fats play a huge role in helping you manage your moods, fight fatigue and even help control your weight. Low Fat?? Whats all that about – its a chemical sh*tstorm thats what it is…. Red Meat?? To eat or not to eat? With the environmental damage and treatment of industrially raised cattle, the fact they are pumped with growth hormones and antibiotics and denied much outdoors time….what else could put you off? Oh and they are given GMO Feed grown with pesticides… If you must eat red meat – limit the amount and also go for organic/grass fed/free range as these don’t pose the same health risks. Remember FAT isn’t the devil here……maybe look at your sugar intake and before you grab that “low fat” meal….THINK!! 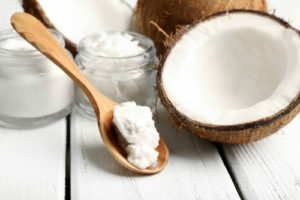 You may see Coconut normally as being in a Bounty, but it has soooo much to offer the body in its natural state….and now it is becoming so much more popular than it was a few years ago, more people are realising the amazing benefits for your health, skin and hair….it really is an amazing product!!! Now when I talk about this I mean pure, 100% natural organic Coconut Oil….as you can imagine it costs a lot more than a Bounty or some Coconut Shampoo…but the Health Benefits are out of this world…and definitely worth the investment Lets get the sciencey bit out the way. Lauric Acid gets turned into Monoalauien, which helps the body deal with Virus’s & Bacteria that attack the body….and here’s where the sciencey bit ends, because lets be honest we want the nitty gritty stuff!!! It is mainly found in Saturated Fats (ARGGHHH The Bad Fats)….but stay with me…its not all ba. If you are still concerned about saturated fat, consider taking a second look. Even if you still avoid/limit saturated fats, it is important to note that not all saturated fats behave the same way in the body. Coconut oil, due to its high lauric acid content, is actually beneficial to the body. * Reduce Kidney problems, Heart Disease and Blood Pressure. Contains short & medium chain Fatty Acids that help strip excessive Fat. Easy to digest and helps Healthy Functioning of the Thyroid and Enzymes. It helps speed up Metabolism by removing Stress on the Pancreas, resulting in burning more energy!! The medium chain triglycerides in coconut oil have been shown to increase 24 hour energy expenditure by as much as 5%, potentially leading to significant weight loss over the long term. BINGO!!! The Lauric Acids prevents Heart Problems occurring, despite the high levels of Saturated Fat. It decrease the incidence of injury in the Arteries. Studies in both humans and rats show that coconut oil improves important risk factors like Total, LDL and HDL cholesterol, which may translate to a reduced risk of heart disease. Studies have also shown that the fatty acids in coconut oil can increase blood levels of ketone bodies, supplying energy for the brain cells of Alzheimer’s patients and relieving symptoms. OK the bit you’ve been waiting for…. As I mentioned above it is mainly found in Saturated Fats…so I bet that put you off, but I am glad you stayed around to hear the good bit…. Coconut Oil contains Less Calories that other Oils out there now BUT The Fat content is easily converted into Energy and does NOT lead to the accumulation of fat in the Heart and Arteries…..helping BOOST Energy, Endurance and Performance and PROMOTE FAT LOSS!! It can be bought nearly everywhere now…online, groupon, costco and most supermarkets and ALL health food shops….YES it is more expensive than a normal oil , but can you really put a price on your health??? Ensure it is 100% Coconut Oil and NO added Stabilisers or E Numbers…be very careful!!! * When cooking most foods….as a replacement for the usual oils you use. 1. Heat oil in a large pot with the lid on. Add broccoli, thyme, onion, apple and celery.